If you expect to ride your wave of motivation, you are doomed to fail. Motivated is a transient feeling that changes more quickly than your clothes. Motivated goes away when you’ve had a busy day, you’re hungry, you’re tired, the kids expect to be fed (the nerve! ), and then you get down on yourself for not following through on your goal. Establishing a habit is like going on a diet. If you think of it as going on a diet, the frustration of deprivation gets to you, but when you think of it as a lifestyle change, a never-going-back-I’m-moving-forward change, you don’t look forward to not being on the diet any more. 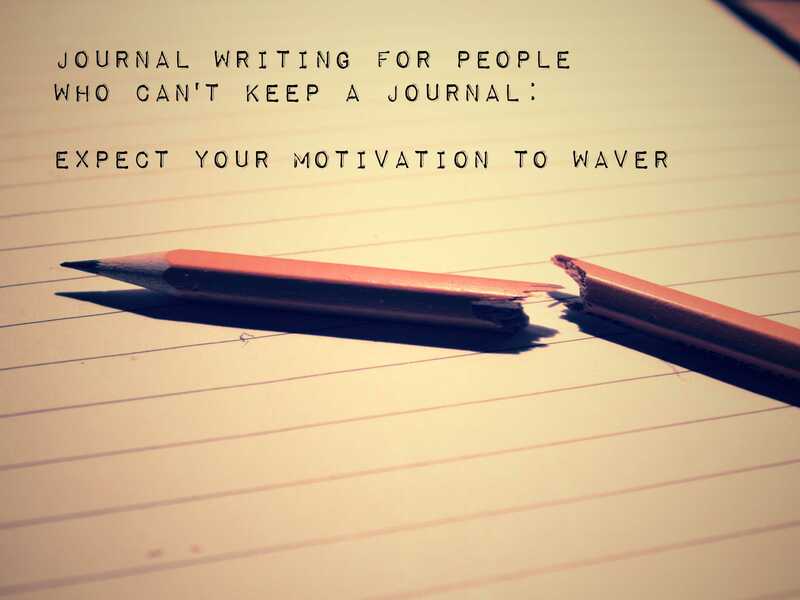 You can’t look at keeping a journal as this spiffy new project that’s going to be lots of fun and uplifting and enlightening and … whatever you think journaling is about. Think of it like brushing your teeth. It’s a necessary habit, nothing more, nothing less. There are lots of articles out there about building good habits—let me boil down every last single one of them for you: Just do it. hey there – found your blog while idea hunting over on pinterest. and it looks amazing, btw. pinterest is the most awesome inspiration resource, isn’t it. i’m heading to art school this fall, which is no small feat, being 53 with 5 kids. mostly grown i should probably add. anyways, just wanted to say it’s so exciting to find like minds on wordpress. and all the best to you. Pinterest is awesome for all its being a time sucking vortex. Good luck in school. My mother is back in school at 50 with only my two youngest brothers left at home and I know she had found it quite a challenge.